Grant of License. Upon execution of this Order Form and acceptance by CCMI, CCMI grants the Customer and any Authorized User a limited, non-exclusive right to use the FiberLocator® Service. Automatic Renewal. Your subscription to use the FiberLocator® Service will continue for the length of the initial term you selected on the FiberLocator® Order Form (the “Subscription Term”). Upon the expiration of the Subscription Term your subscription will automatically renew for a like term or period as the Subscription Term (the “Renewal Term”), unless you notify CCMI of your intent not to renew your subscription, in writing, at least sixty (60) days prior to the expiration of your Subscription Term. CCMI will attempt to renew your subscription approximately forty-five (45) days prior to the expiration of your Subscription Term, by charging the credit card designated on your account (or by invoice, as applicable). CCMI has no obligation to renew your subscription to the Service if the designated credit card is not accepted according to CCMI’s payment processing systems. You acknowledge and agree that if you do not want CCMI’s automatic service renewal to apply to your account, you must affirmatively choose not to participate in (i.e., opt out of) this automatic service renewal by written notification to CCMI, as set forth above. Failure to affirmatively opt out of the automatic service renewal constitutes your authorization and consent for CCMI to attempt to automatically make charges to your designated credit card for the Renewal Term, for the then-current retail price for your subscription renewal. Credit Card Authorization. By electing to pay by credit card for the FiberLocator® Service, Customer authorizes CCMI to charge the credit card indicated on the FiberLocator® Order Form and/or designated on Customer’s account for payment of the Service. In electing to pay by credit card, Customer certifies that Customer is a person who is authorized to use the designated credit card. In addition, Customer authorizes CCMI to charge the designated credit card for future purchases approved by Customer verbally or in writing. 4. INDEMNIFICATION. Customer shall indemnify and hold harmless CCMI and its trustees, directors, officers, employees, affiliates, agents, successors, and third-party suppliers from and against any and all losses, liabilities, judgments, obligations, expenses, damages, awards and costs (including reasonable legal fees and expenses) arising from any claim, demand, action or proceeding based upon any act or omission of Customer or any Authorized User in connection with the use of the Service or the performance of services thereunder, except to the extent that such liabilities, obligations, costs, expenses, damages and claims are caused by the negligence of CCMI, its trustees, directors, officers, employees, affiliates, agents, vendors, successors or third-party suppliers. CCMI shall indemnify and hold harmless Customer and its trustees, directors, officers, employees, affiliates, agents, vendors, successors, and third-party suppliers from and against any and all losses, liabilities, judgments, obligations, expenses, damages, awards and costs (including reasonable legal fees and expenses) arising from any claim, demand, action or proceeding, including infringement to intellectual property rights of third parties, based upon any act or omission of CCMI in connection with this Agreement, CCMI’s obligations hereunder and at law, except to the extent that such liabilities, obligations, costs, expenses, damages and claims are caused by the negligence of Customer or Authorized User, its trustees, directors, officers, employees, affiliates, agents, vendors, successors or third-party suppliers. 5. DISCLAIMER OF WARRANTIES. The information and data provided through the FiberLocator® Service has been prepared, supplied and compiled, in part, by third-parties. CCMI and its third-party suppliers do not independently verify the accuracy and completeness of such information and data nor do they warrant that the Service will be error-free or satisfy all the requirements of the Customer. EXCEPT AS EXPRESSLY STATED HEREIN, CCMI AND ITS THIRD-PARTY SUPPLIERS MAKE NO REPRESENTATIONS OR WARRANTIES OF ANY KIND WHATEVER, EXPRESS OR IMPLIED, STATUTORY OR OTHERWISE RESPECTING THE SERVICE, OR ANY COMPONENT THEREOF INCLUDING, WITHOUT LIMITATION, IMPLIED WARRANTIES OR CONDITIONS OF MERCHANTABLE QUALITY, DURABILITY OR FITNESS FOR A PARTICULAR PURPOSE. The Customer accepts the information and data on an “as is” basis and CCMI neither assumes nor accepts any liability, including liability in negligence or negligent misstatement, to the Customer for any inaccuracy or incompleteness in such information or data. 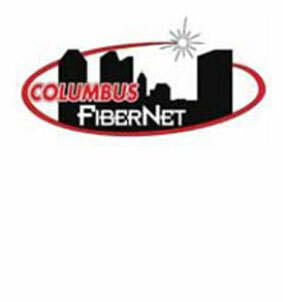 CCMI shall have no obligation to update or correct data incorporated into the FiberLocator® Service except as expressly provided herein. 7. GOVERNING LAW AND CHOICE OF FORUM. Any dispute arising hereunder shall be brought in the state of Tennessee, and governed by, interpreted and construed in accordance with the laws of the state of Tennessee without regard to choice of law principles.